The question made me recall my own Marketing Jedi-In-Training days. Those were not happy days. At all. My memory recounts endless tears, utter confusion and an almost paralyzing fear that I was really born devoid of a brain. Back then (Sigh! This sentence beginning always makes me feel as old as Yoda), marketing was the career of the desperate. When you’re a fresh college graduate and jobless, you take a marketing job until something better and serious comes along. Like accountancy. And so it was that I found myself signing that first employment contract with much relief. Never mind that I have never heard of this creature called Marketing Officer. It only mattered that I had become a productive member of society with an active tax account number. Off I went to my training period where I was expecting that a wise mentor ala Obi Wan Kenobi will guide me through the labyrinths of the Marketing Management Planet. He was not experienced or wise. He definitely did not look like Liam Neeson. ‘Nuff said. “To be Jedi is to face the truth, and choose. Give off light, or darkness. 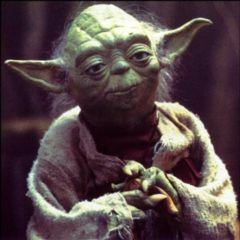 Be a candle, or the night.” Following Yoda, this light I shall give. Candle I choose to be. 1. Develop your analytical skills. Hone it to perfection. You should not be in marketing if you cannot analyze or develop a passion for analytical work. Marketers tabulate, compute and study every single breath a consumer makes. By understanding them, we are able to conceptualize strategies that will help our companies achieve their business objectives. Deciphering a consumer’s habit is orgasmic to a true blue marketer. So! If you don’t enjoy poking your nose in your neighbor’s business, don’t be a marketer. 2. Be prepared to work long hours, give up weekends and holidays and have erratic schedules. For many years, I couldn’t spend both Christmas Eve and New Year’s Eve at home. I had to choose only one; I had to work during the other. Holy Week is a major vacation holiday in the Philippines. For me, though, that meant going on route rides to check on all my sampling activities. So while the entire Catholic nation observed the rites of the Lenten season, I observed the rites of capitalism. People who think marketing is all glamorous work are sadly misguided. There is nothing glamorous about climbing on to 10-wheeler delivery trucks in your stilettos for a 10-hour route ride and trade check. Nor is it the height of glamour to sleep on top of a table as you wait for production to finish all the orders for the Christmas season. When you have finally learned to take a full bath inside the men’s room using your coffee mug to scoop water, you know you have learned to love your marketing career. 3. Develop excellent communication skills, both oral and written. You cannot be a marketer and not know how to communicate well. It is tragic when a marketer issues memos and press releases written in haiku. It is disconnecting for an audience to listen to a product spokesperson reading from a wad of cue cards. Public speaking is an occupational hazard that you should learn to embrace. Yoda you are not. 4. Read constantly to update yourself on the latest news and information. It is never a good thing when you can’t warn your boss that Darth Vader’s forces are coming. I begin each day by reading all the major national dailies and, no, I don’t start with the comic section. In the Jurassic Era, I had an assistant who cuts up all pertinent newspaper clippings, lays it all down on my desk and any free time I get, I read them. These days, it is my feed reader and social media that keep me informed throughout the day, not whole forests. 5. Network, network, network. Sorry but, in this career, you cannot vant to ve alone, Ava. Information is priceless to marketers. And though Google fans will vehemently disagree with me on this, many things still cannot be found on the search engine behemoth. A lot of them can be found only in golf courses as you curse the stupid ball for flying in the opposite direction. It can be found in church as you hold hands with your seatmate while reciting The Lord’s Prayer. And, really, do I need to tell you how much useful information you can get with the right bottle of wine and steak? And there you have it – some words of wisdom from my marketing years, Jedi. May the force be with you. Sunny Has Written 8 Articles For Us!